When a state is composed of a homogeneous population, the natural inertia of such a population will hold the Stage together and maintain it's existence through astonishingly long periods of misgovernment and maladministration. But the situation is utterly different in a country where the population is not homogeneous, where there is no bond of common blood but only that of one ruling hand. "What soon gave me cause for very serious consideration were the activities of the Jews in certain branches of life, into the mystery of which I penetrated little by little. Was there any shady undertaking, any form of foulness, especially in cultural life, in which at least one Jew did not participate? On putting the probing knife carefully to that kind of abscess one immediately discovered, like a maggot in a putrescent body, a little Jew who was often blinded by the sudden light. In my eyes the charge against Judaism became a grave one the moment I discovered the Jewish activities in the Press, in art, in literature and the theatre. All unctuous protests were now more or less futile. One needed only to look at the posters announcing the hideous productions of the cinema and theatre, and study the names of the authors who were highly lauded there in order to become permanently adamant on Jewish questions. Here was a pestilence, a moral pestilence, with which the public was being infected. It was worse than the Black Plague of long ago. And in what mighty doses this poison was manufactured and distributed. Naturally, the lower the moral and intellectual level of such an author of artistic products the more inexhaustible his fecundity. Sometimes it went so far that one of these fellows, acting like a sewage pump, would shoot his filth directly in the face of other members of the human race. In this connection we must remember there is no limit to the number of such people. One ought to realize that for one, Goethe, Nature may bring into existence ten thousand such despoilers who act as the worst kind of germ-carriers in poisoning human souls. It was a terrible thought, and yet it could not be avoided, that the greater number of the Jews seemed specially destined by Nature to play this shameful part. I began then to investigate carefully the names of all the fabricators of these unclean products in public cultural life. The result of that inquiry was still more disfavourable to the attitude which I had hitherto held in regard to the Jews. Though my feelings might rebel a thousand time, reason now had to draw its own conclusions. The fact that nine-tenths of all the smutty literature, artistic tripe and theatrical banalities, had to be charged to the account of people who formed scarcely one per cent of the nation--that fact could not be gainsaid. It was there, and had to be admitted. Then I began to examine my favourite 'World Press', with that fact before my mind. The deeper my soundings went the lesser grew my respect for that Press which I formerly admired. Its style became still more repellent and I was forced to reject its ideas as entirely shallow and superficial. To claim that in the presentation of facts and views its attitude was impartial seemed to me to contain more falsehood than truth. The writers were--Jews. Thousands of details that I had scarcely noticed before seemed to me now to deserve attention. I began to grasp and understand things which I had formerly looked at in a different light." "The more I debated with them [JEWS] the more familiar I became with their argumentative tactics. At the outset they depended on the stupidity of their opponents, but when they got so entangled that they could not find a way out they played the trick of acting as innocent simpletons. Should they fail, in spite of their tricks of logic, they acted as if they could not understand the counter arguments and bolted away to another field of discussion. They would lay down truisms and platitudes; and, if you accepted these, then they were applied to other problems and matters of an essentiallydifferent nature from the original theme. If you faced them with this point they would escape again, and you could not bring them to make any precise statement. Whenever one tried to get a firm grip on any of these apostles one's hand grasped only jelly and slime which slipped through the fingers and combined again into a solid mass a moment afterwards. If your adversary felt forced to give in to your argument, on account of the observers present, and if you then thought that at last you had gained ground, a surprise was in store for you the following day. The Jew would be utterly oblivious to what had happened the day before, and he would start once again by repeating his former absurdities, as if nothing had happened. Should you become indignant and remind him of yesterday's defeat, he pretended astonishment and could not remember anything except that on the previous day he had proved that his statements were correct. Sometimes I was dumbfounded. I do not know what amazed me more-the abundance of their verbage or the artful way in which they dressed up their falsehoods. I gradually came to hate them." January 24, 2018 by Robert S. Griffin, Ph.D.
Hitler called for the development of racial consciousness. Education must burn the racial sense and racial feeling into the instinct and intellect, the heart and brain of the youth entrusted to it. No boy and no girl should leave school without having been led to an ultimate realization of the necessity and essence of blood purity. Thus the groundwork is created by preserving the racial foundations of our nation and through them in turn securing the basis for its future cultural development. For all physical and all intellectual training would in the last analysis remain worthless if it did not benefit a being which is ready and determined on principle to preserve himself and his special nature. 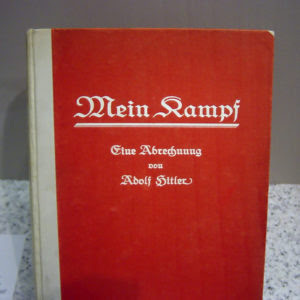 n Mein Kampf, Chapter 11 [race and people], Adolf Hitker explains at that time what the Jews will be doing today to force Multiculturalism in Historical White countries. 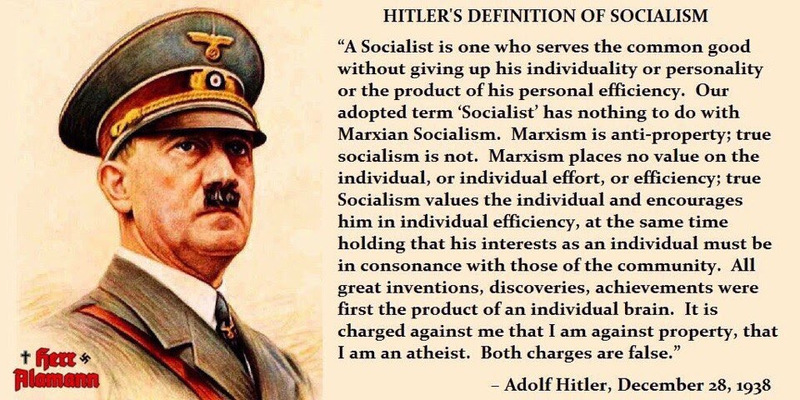 Read carefully what he has said because his conclusion is that a people can never be under Jewish control unless he is / become multicultural.
" There are certain truths which stand out so openly on the roadsides of life that every passer-by may see them. Yet, because of their very obviousness, the general run of people disregard such truths or at least they do not make them the object of any conscious knowledge. People are so blind to some of the simplest facts in everyday life that they are highly surprised when somebody calls attention to what everybody ought to know. titmouse, the finch with the finch, the stork with the stork, the field-mouse with the field-mouse, the house-mouse with the house-mouse, the wolf with the she-wolf, etc. Every crossing between two breeds which are not quite equal results in a product which holds an intermediate place between the levels of the two parents. This means that the offspring will indeed be superior to the parent which stands in the biologically lower order of being, but not so high as the higher parent. For this reason it must eventually succumb in any struggle against the higher species. The stronger must dominate and not mate with the weaker. Everything on this earth can be made into something better, provided always that the racial blood is kept pure. But the loss of racial purity will wreck inner happiness for ever. It degrades men for all time to come. And the physical and moral consequences can never be wiped out. The black-haired Jewish youth lies in wait for hours on end, satanically glaring at and spying on the unsuspicious girl whom he plans to seduce, adulterating her blood and removing her from the bosom of her own people. The Jew uses every possible means to undermine the racial foundations of a subjugated people. In his systematic efforts to ruin girls and women he strives to break down the last barriers of discrimination between him and other peoples. The Jews were responsible for bringing negroes into the Rhineland, with the ultimate idea of bastardizing the white race which they hate and thus lowering its cultural and political level so that the Jew might dominate. For as long as a people remain racially pure and are conscious of the treasure of their blood, they can never be overcome by the Jew. Never in this world can the Jew become master of any people except a bastardized people. That is why the Jew systematically endeavours to lower the racial quality of a people by permanently adulterating the blood of the individuals who make up that people.